In the last Mental Muscle post, you met ‘Sara’ and learned about her Refocusing Plan as a jammer who struggles with key moments in games. Focusing is your ability to concentrate on specific cues in your environment. Having strong focusing skills can allow you to concentrate on different cues that impact your performance. If you focus only on one cue within your performance, you’re at a higher risk of getting fixated on it. This is when the cue becomes a distraction. Chelsea is a novice roller derby athlete hailing from Australia, however, roller derby is not Chelsea’s first experience with sports. 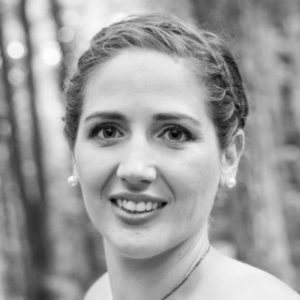 She has experience dealing with coaches, team dynamics, and teammate relations. 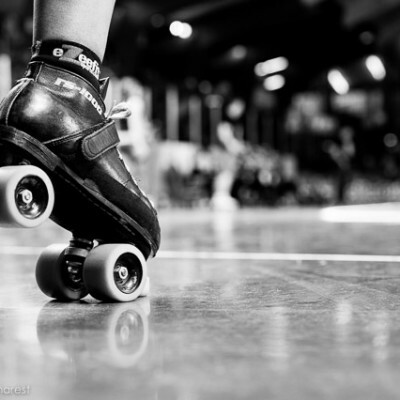 Being new to roller derby, Chelsea is keen for feedback: anything that will help her improve and progress as an athlete. Unfortunately, Chelsea experienced an unpleasant moment at practice. Chelsea had bought a new pair of skates she was going to break in during practice. This purchase was not only an exciting moment but also represented a commitment to the sport. She put her new skates on in the parking lot and made her way inside. At the beginning of practice, she was taking her time moving around the rink; trying to get a feel of her new plates and their reaction. It was at this moment, that a league trainer came up to Chelsea to give her some tips on her skating technique. Chelsea tried to explain her skates were new and she just needed a moment to get a feel, but the trainer ignored this and continued to provide feedback. She knew that the trainer was there to help, and the feedback would probably be useful, but all she really needed was a few minutes to herself. As a reaction to this incident, Chelsea was overwhelmed with anger and a mix of other emotions. Why wasn’t her trainer listening to her? She’s not a child! She felt that her boundaries were being ignored and disrespected. Chelsea was engulfed in her emotions; she felt sick and panicky. During moments like these, she feels that she has trouble effectively communicating – she asked the trainer politely to stop giving feedback for a moment, but the message was not getting across. On top of the anger and panic that she experienced, Chelsea also felt embarrassed. She was embarrassed for herself and for the trainer. In all, it’s safe to say that Chelsea hates conflicts. But there are some conflicts that bring on a little annoyance, and then there are some that bring on that overwhelming tidal wave of emotions. Therefore, Chelsea’s distraction is not the conflicts, but the specific occasions where she loses control of her emotions. Chelsea mentioned she would get into these types of situations when she felt that a boundary has been passed or ignored. She doesn’t like to be negative, but when the wave of emotions hits, she loses control of the situation. Loss of control doesn’t mean that Chelsea turns into a ‘mad dog’, she’s just unable to handle the situation in the way she wishes she could. As mentioned in the example, Chelsea felt that she had trouble controlling her emotions and being an effective communicator at the same time. These situations make it hard for her to concentrate because her emotions are a distraction. The problem is that these moments do not gradually build up. When her emotions hit it’s almost like a broken dam: everything comes at once. As Chelsea is becoming more involved with roller derby, she doesn’t want a repeat of this situation. She enjoys roller derby and wants to be able to overcome these emotionally intense situations. During our one-on-one session, it was clear Chelsea knew that to express her thoughts and feelings, she can’t get caught up in her emotions. There was one question that stood out in Chelsea’s mind, which was “why now?” Chelsea realised that asking herself the question helped her understand why she experiences this mixed bag of emotions. In past experiences, she would react to these emotions with more unpleasant emotions; by questioning them instead, she feels will help her respond in a more critical and helpful way. Instead of viewing these unpleasant emotions a negative experience, she’ll use them as a cue to start her refocusing plan. This question will help Chelsea analyse why she is experiencing these emotions. It will also help her come up with a plan of action to respond to the situation: what does she need to do to make this situation more positive? Taking a deep breath will help Chelsea relax. It will also give her a moment to reset before responding to the situation. Now when Chelsea responds, she’ll be focusing on the way she communicates her message. From the words she chooses to her body language and the tone of her voice. The goal of this routine is to help Chelsea gain control of her emotions and thoughts in situations where her boundaries are not respected. Just like any type of training, for Chelsea to see if her refocusing plan is working she’ll need to try it and track her progress. We’ll touch base with Chelsea in the next Mental Muscle post to see how her refocusing plan is coming along. Now you’ve seen two refocusing plans. Both plans have different goals based on the needs of the individuals. Chelsea’s refocusing plan can be implemented anytime she experiences that wave of emotions. 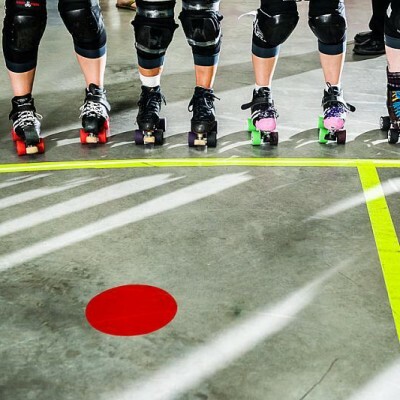 This plan can be used inside and outside the realm of roller derby. If you were Chelsea, what would be your refocusing plan? How would you combat a wave of strong emotions? I appreciate you posting about training our brain because, during FM I was practicing jamming. The ref in training kept yelling something at me and it wasn’t until he told me to turn around and pushed his forearm into my back. I realized what I had done. This freaked me out because I felt so disconnected to my body that I had no Idea I was constantly using my forearm on her back. I am frustrated with my inability still to go into the track either as a blocker or jammer and try to just survive or push through without being able to connect with what we have learned and bring it to the bout. 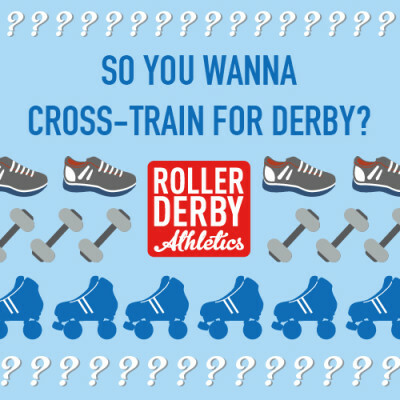 I just passed assessments and am excited to get to use my derby name and number, but concerned that I will not be able to get my head in the game as well. I really want to bout strategically, but I seem to only struggle to stay upright and get points or stop the points.